I left Callao with some regret – the beauty and the isolation are so attractive. 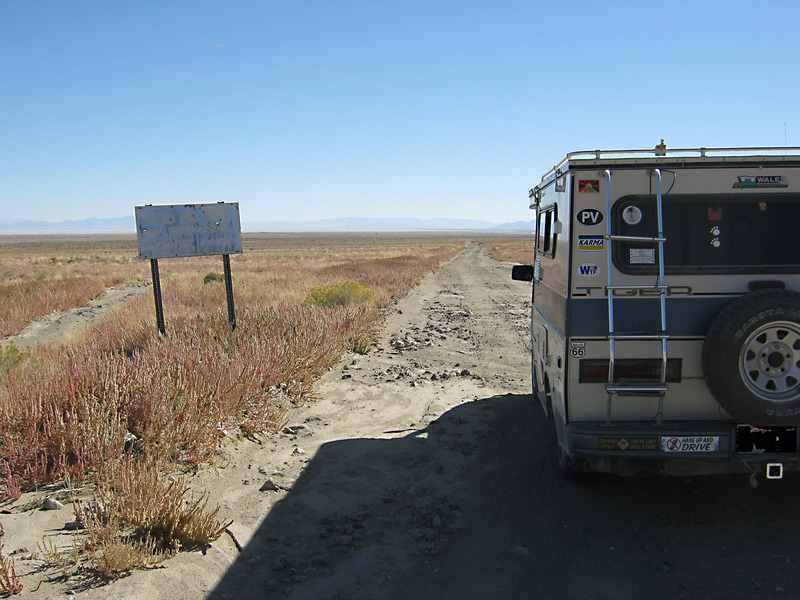 The photo below is of the road from Gold Hill looking back to the flats. Callao would be the vague line of green in the far distance on the right of the photo. 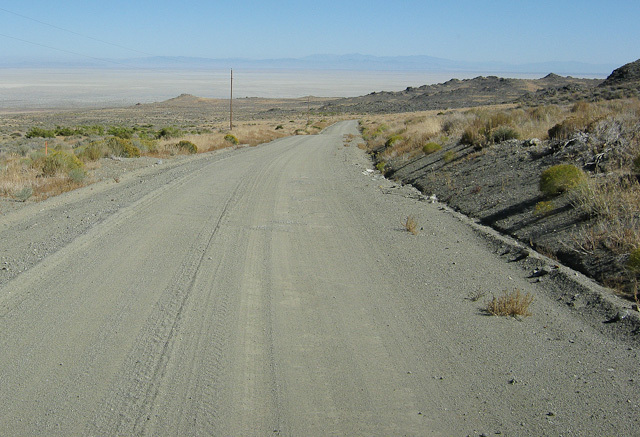 The road is of good quality once you leave Callao and cross into Tooele County. That’s the Thomas Range across the flats. The road looks poorly maintained but it is patrolled regularly. I read a story recently of some amateur geologists who had strayed onto the flats near here and were chased off by two jet fighters. The facilty is very serious about security. 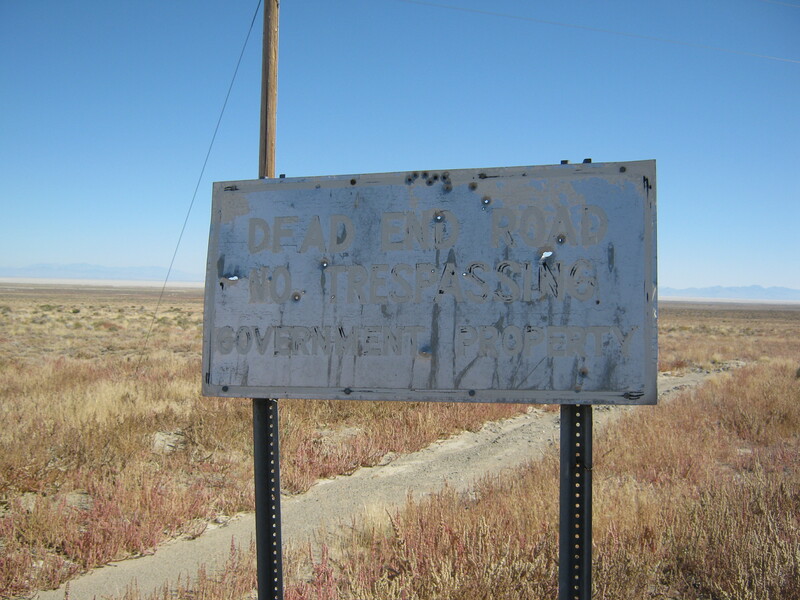 “Use of deadly force is authorized” on the Dugway Proving Grounds. Not to worry Mr. B. I have no intention of going further. 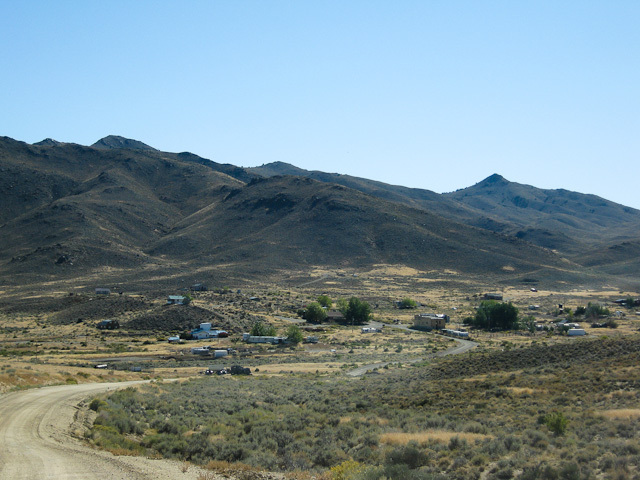 Continuing up the main road, not the cutoff, you will arrive at the very small town of Gold Hill, once a very active mining area in the later 1800’s, with its own railroad. 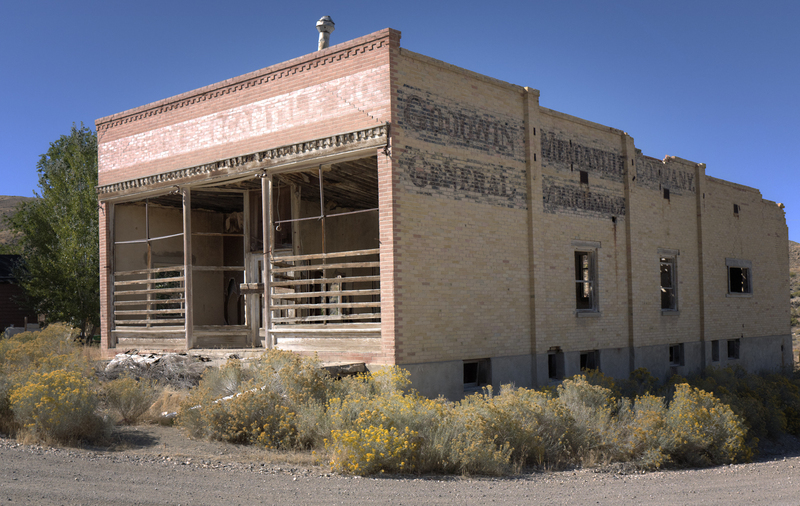 There are few residents today but the town is a great one to explore. I didn’t spend nearly as much time as I should with camera in hand. 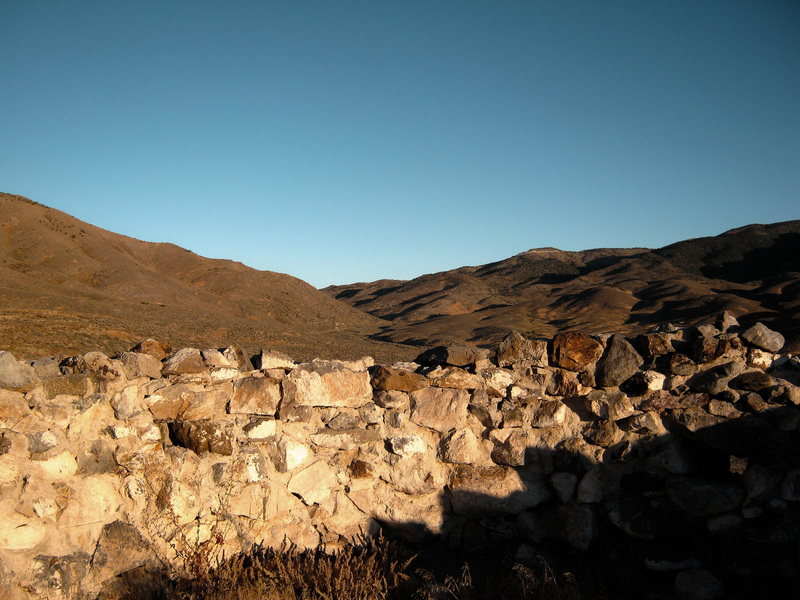 On leaving Callao you have the option of avoiding Gold Hill by turning on the 1913 route into Overland Canyon. The intersection is well signed. This is taken from the Pony Express monument where I stayed one windy night. The LHW roughly follows the current grade. 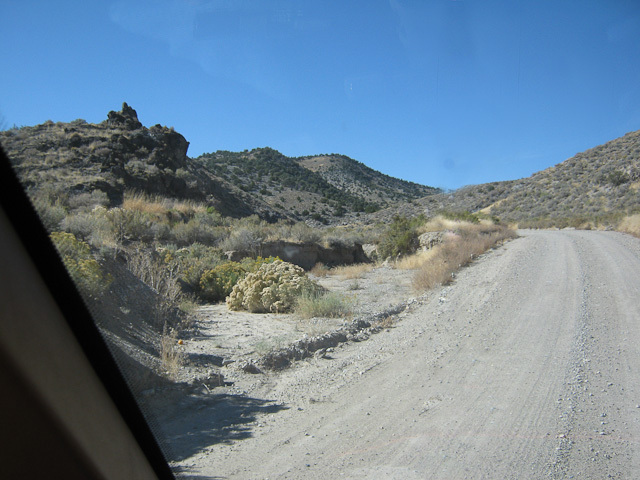 Overland Canyon Road – It is well maintained. The road through the canyon is perfectly cromulent. It meets the 1919 road from Gold Hill a couple of miles from the upper end of the canyon. 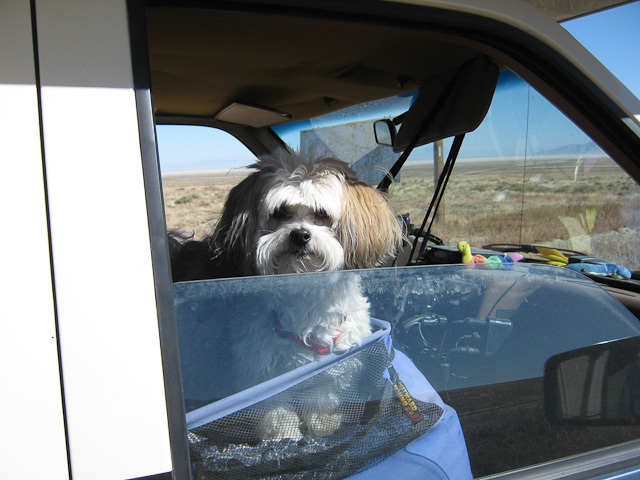 This entry was posted in Callao, Desert, Dugway, Ghost Towns, Gold Hill, Goodyear Cutoff, Great Basin, Lincoln Highway, Pony Express, Salt Lake Desert, Utah. Bookmark the permalink. I have been through this area only once and somehow managed to miss Gold Hill. I did find the road quite cromulent but imagine that Gold Hill itself is even more so. Enjoyed reading this. I drove the Dugway Goodyear Cutoff several times in the early 1990s as I was working on the Proving Grounds. There was a nice historic sign in the old village of Dugway explaining the highway. Alas I have no pictures.